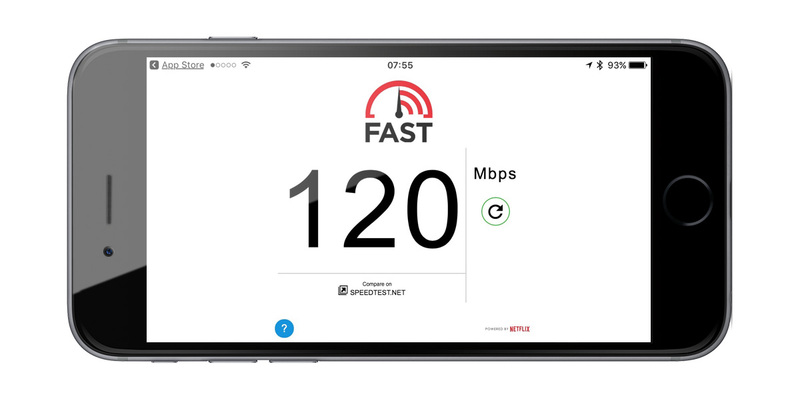 Netflix launched its own internet speed test website a few months ago, and now the streaming entertainment company has turned the Fast site into an iPhone and iPad app. Just like the website, the Fast app is a one trick pony: launch it, and you’ll see how fast your internet connection is. Fast shows just your download speed, which is what most people care about anyhow, and there’s a button to check your connection speed again. Netflix Fast is a free download at Apple’s App Store. Not sure why there is such a disparity. I have suspected that Charter doctors the test for when you run it. Seems like they clear the path.